A touch of creativity and the intense aroma of this truffle are guaranteed to make your gourmet meal truly unique. Fragrant and crisp, the fresh Burgundy truffle will delight the palate of the most discerning foodies. Its deep and incomparable woody aroma and its nutty flavour have carved out its reputation for exceptional quality. 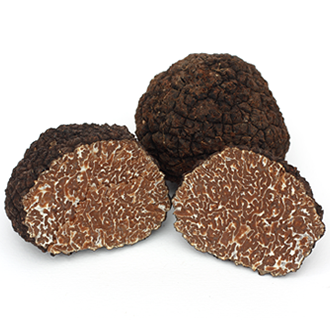 Use: raw or very lightly cooked, the Burgundy truffle adds the perfect finishing touch to a wide variety of recipes. Packaging: after rigorous selection, our fresh Burgundy truffles are brushed and washed by hand as soon as they are harvested. To guarantee you optimal freshness and their safe transport, they are vacuum-packed and placed along with ice packs in an isothermal pouch, for express delivery within 24 hours. Delivery: in order to guarantee maximum freshness, we recommend you select EXPRESS delivery (within 24 hrs) for all fresh truffle orders.